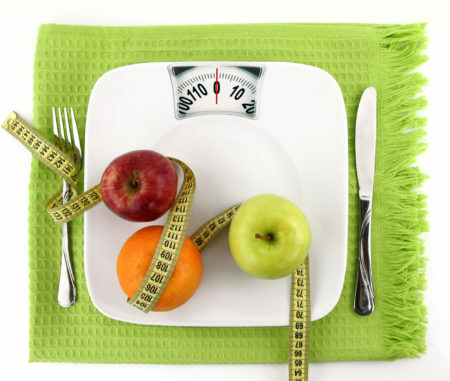 Did you know that over 40 million Americans go on a diet each year? Even if you aren’t part of this group, chances are that someone very close to you is. While dieting efforts are driven by good intentions and a desire to lose weight or get healthier, these behavior change efforts almost always fail. Some studies estimate that over 95% of diets don’t last. Given that I write articles and books about forming stronger habits, friends often ask me for advice about their approach to nutrition. Recently, a friend asked for my opinion on his latest diet. “What do you think of Whole30?” he asked. “Ok, but I love Whole30,” he replied. “Well, I’m glad it’s working for you. How long have you been on it?” I asked. Fad diets are too restrictive and abrupt. Regardless of how you feel about that paragraph, does healthy eating really need to feel like a boot camp and be so strict? Most people don’t like being told exactly what they can and cannot do for 100% of the time anyway. 2. Fad diets set you up for eventual failure. When you go on a diet, you are basically telling yourself, “This is temporary. I only need to eat like this for a period of time, and then I can go back to eating what I really want to eat.” There is no real, long-term commitment to change your behavior. As with my friend and his Whole30 experience, he only lasted two weeks. Then, he was back to exactly what he was doing before- eating a lot of junk food. 3. Fad diets ignore the real problem(s). As discussed here, bad habits don’t just happen. Bad habits (in regard to nutrition or anything else) are caused by cue(s) that trigger unhealthy behaviors. Your cue(s) for bad eating habits could be emotional (i.e. stress), physical (i.e. being surrounded by unhealthy food at home and at work), social (i.e. being surrounded by friends or family who constantly make unhealthy choices), or some combination of these factors and others. Fad diets ignore your underlying challenges. They just ask you to rely on blunt willpower to change your ways. What about those dieting success stories? Fad diets are quick to point out their “success stories” … “Jim Smith lost 7 pounds in 3 days!” … “Mary Thomas lost 22 pounds in 6 weeks!” … and on and on. Given the title of this web site, you can probably guess my answer: focus on habits, not diets. Different nutritional plans can be effective, as long as you primarily consume real foods with natural ingredients. Eating healthy need not be as complicated and rigid as many people make it out to be. If you are not currently eating a natural, nutrient-dense breakfast every day (or on most days), you could start there and focus on that alone for now. Take it one change at a time, and add on the next change whenever you are ready. P.S. If you enjoyed this article, you can share it by clicking one of the social media icons on this page. And, if this is your first time at StrongerHabits.com, you can click here to take a free assessment that measures your habits in four areas that have a major impact on how you feel and perform each day. The assessment takes less than 3 minutes, and you get your results immediately. Daniel J. DeNoon, “Diets Don’t Work Long-Term,” WebMD, April 11, 2007, http://www.webmd.com/diet/news/20070411/diets-dont-work-long-term#1. John Berardi, “11 things I’ve learned coaching elite and professional athletes,” Precision Nutrition, accessed on August 7, 2017, http://www.precisionnutrition.com/coaching-elite-and-professional-athletes.